Do you have lots of dusty photo albums with pages full of old photos? Thanks to the many free photo-sharing Web sites currently available, those are a thing of the past. Instead of carrying your photos around when you want to share them, you can now easily share them from your computer. Now it only takes a few minutes to upload a batch of digital photos and e-mail friends and family who might want to see them. For a price and a little extra effort, you can print out those same digital pictures on quality photo stock for permanent keepsakes, or get photo-sharing sites to mail them to you. Photo-sharing sites offer many features, and there are several of them on the Web. Most are free but offer additional storage space, bandwidth and/or other features for a price. We’ll use Flickr as an example because it’s one of the most popular photo-sharing Web sites, but there are many other great sites on the Internet that offer similar features. The most basic feature is the ability to upload your digital photos to the Web, organize them and allow other people to see them. The first step is uploading. The upload page of most sharing sites will have a box with a “Browse” button. Clicking on “Browse” allows you to find the files on your hard drive. Usually, there are several boxes on the page, so you can find multiple photos and upload them all at once. It may take several minutes for the upload to finish, depending on how many photos you’ve chosen and how large the files are. Some photo-sharing sites have programs that you can download to your desktop and use to upload photos to the site. At this point, some sites will automatically resize your photos. Usually the photo size is reduced to keep the site’s bandwidth and storage space use minimized. Keeping photos at the original size may be an option for paying members. One of unique and popular website “Mobicards” is available to photo sharing and social networking. 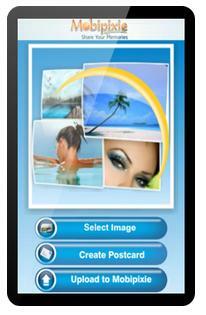 If you take a photo on your mobile phone then Mobicards is for you. This is an advanced mobile media sharing and social networking platform for mobile phone users. You can upload, edit, transform, share, distribute, archive, group, edit, enhance, print, play and do many more things with your photos. You can keep your photos private, or make them public. The choice is yours. 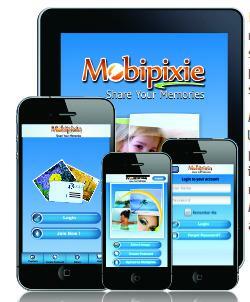 All you need to start is to create your account here and download MobiPixie mobile app! 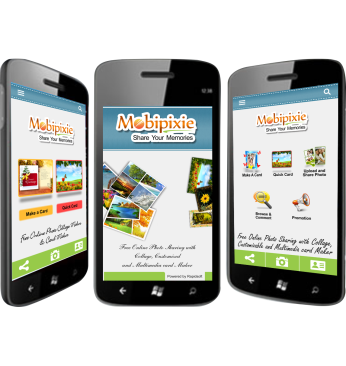 MobiPixie is all about mobile pictures. Mobicards is the first and only advanced service platform that lets you send out high-quality, customized, color postcards (greetings) from your very own mobile phone to anyone anywhere in the world! Snap a picture, modify it if you like, using built in customization tools, compose an associated message ,and send it to as many postal or electronic recipients as you like. That’s it! You can even store your postcards on your phone or on the website for even further customization, modification and sending at a later date. 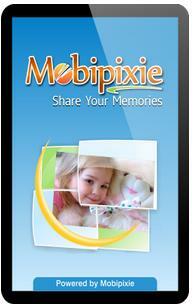 MobiPixie is a revolutionary new generation of Social Media Platform based around photos. It is the Best & the Most Useful mobile application of its kind. 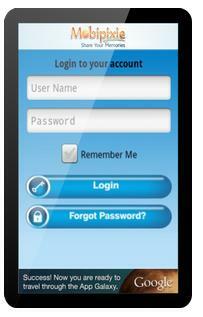 Mobicards is an advanced mobile media (photo) sharing & social networking platform for mobile phone users. It is about celebrating & sharing your life’s memories captured as photos with people you love & care – with Full Privacy Control! You can upload, edit, transform, share, distribute, archive, group, edit, enhance, print, play & do many more things with your photos. You can keep your photos private, or make them public for all. You can tag them, title them & categorize them in any way you like making easy to search & browse by categories.So, no time wasted in finding what you want! All you need to start using Mobicards is download this Android mobile app!. In addition to comprehensive on-line social media sharing features, Mobicards offers a unique service that lets a consumer use photos on his or her cell phone or use photos from Public Galleries & then send high-quality, custom, personalized color Mobi cards from his or her very own mobile phone.No more trips to post office, or queuing up at the post office to buy stamps.No more missing of that special day of someone you care.A user can send custom card electronically too,if he or she chooses so. Why send generic cards when you can send personalized custom cards at a much lower cost? Mobicards enables users to take a picture,modify it using built in customization tools,compose an associated message for the receiver, & send it to as many postal or email recipients as a user likes.Full online history of the cards along with receiver’s name, address & card status is maintained in the system. Collage maker is all about mobile pictures.Mobicards is very easy to use.Snap a picture, modify it if you like, using tools built in customization tools, compose an associated message & send it to as many postal or electronic recipients as you like(we print them for you). Send it to anyone anywhere in the World. That’s it! You can store your E cards on your phone or on the mobicards website for further customization, modification & sending at a later date. So, what are you waiting for? Join us NOW! supports all kind of Mobile Features that lets you manage your photos & use them to share your joy! Ability to Create Custom & Personalized Greeting & Invitation Cards & Send Them Instantly Using. Full Support for Sending Custom Printed Card (P-cards) & Electronic Cards (E-cards). Save Time & Money. Advance Online Card Design Tool Accessible From Mobicards.net For Custom Design with Full Text & Image Editing Including Image & Text Rotation, Font Size & Color selection. Ability To Use Calendar Feature For Reminding Birthdays, Anniversaries & Other Special Occasions. Never forget an important day ever again.  Full History of Card Sent in the System with Full information of Recipient. Social Media Sharing on Facebook & Twitter of all the Cards & Photos.etc..